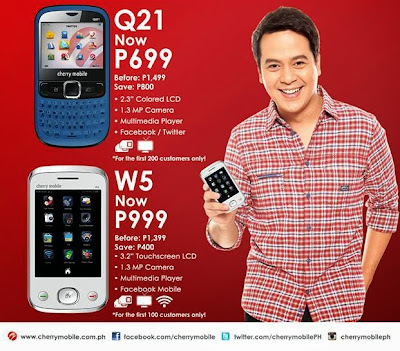 Home Cherry Mobile Phones & Tablets Tech News Cherry Mobile Opening Sale! 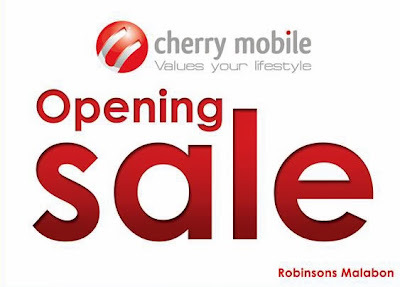 Cherry Mobile recently announced that they are giving "Opening Sale" on Robinsons Place Malabon! The first 200 customers can get the Cherry Mobile Q21 a 2.3'' colored LCD qwerty Tv phone, with 1.3 MP camera and multimedia player, for only Php699 save Php800. And for the first 100 customer they can get the Cherry Mobile W5, a 3.2" Touch screen LCD with 1.3 MP camera and multimedia player, for only Php999 save Php400.